. 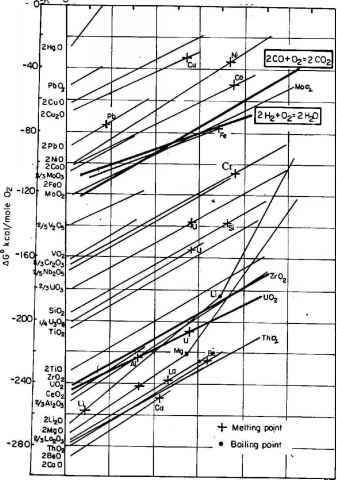 In the case of reaction (9.26), this means 1 mole of CO and 0.5 moles of O2. Instead of specifying the (C/O) ratio of V2 and summing the mole fractions to unity (the procedure in the element conservation method), a table is set up that describes the equilibrium composition in terms of a single variable called the reaction progress variable, denoted by Exact definition of this quantity is somewhat arbitrary; in the present example, the natural choice is the number of moles of the CO2 product present in the equilibrium mixture. Table 9.1 shows the entries in the table that lead to a single equation to solve.